Image does not reflect actual size. See dimensions below. Shown in Natural Wood. Now, give your library the Educational Edge. 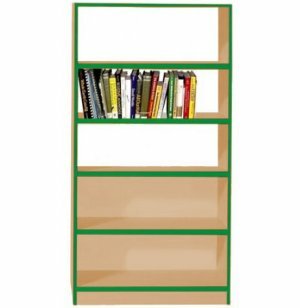 This color-coordinated Educational Edge Library Shelving is attractively designed, sturdily built, and affordably priced! Rounded 3mm edge banding with a choice of Educational Edge trim colors. 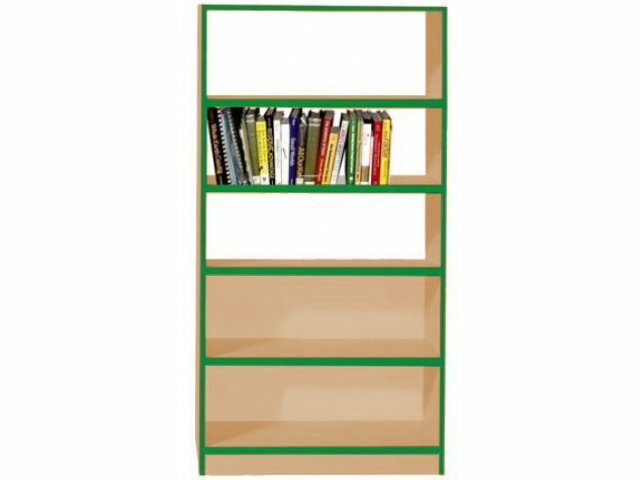 Optional angled periodical shelves with raised front edges. Double-faced units are made with 1"-thick side panels and a 1"-thick center partition that runs from the floor up 29".